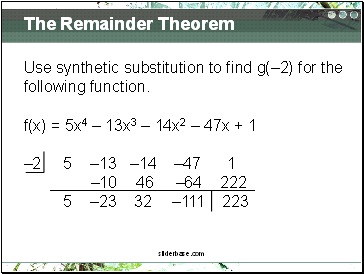 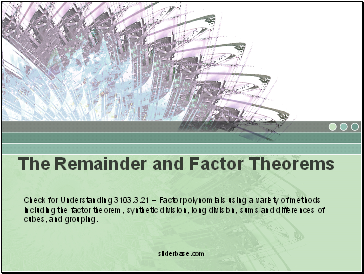 Check for Understanding 3103.3.21 – Factor polynomials using a variety of methods including the factor theorem, synthetic division, long division, sums and differences of cubes, and grouping. 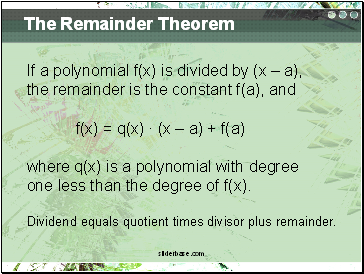 one less than the degree of f(x). 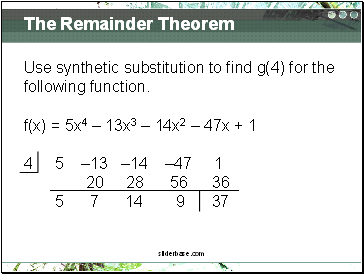 Dividend equals quotient times divisor plus remainder. 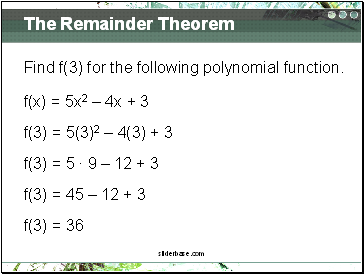 Find f(3) for the following polynomial function. 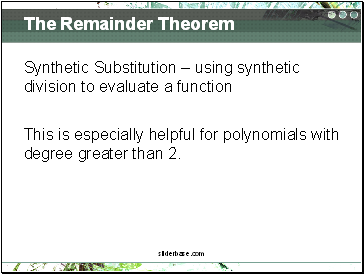 Now divide the same polynomial by (x – 3). 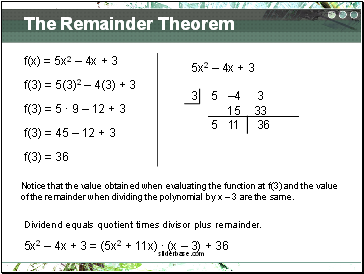 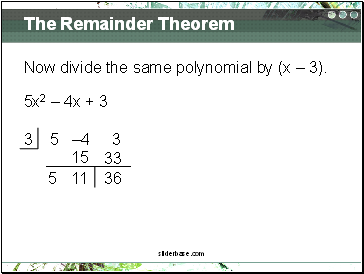 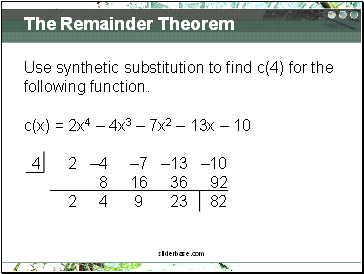 of the remainder when dividing the polynomial by x – 3 are the same.